aving a complete and balanced breakfast is crucial to start your day on the right track. This is especially true for those who exercise regularly. 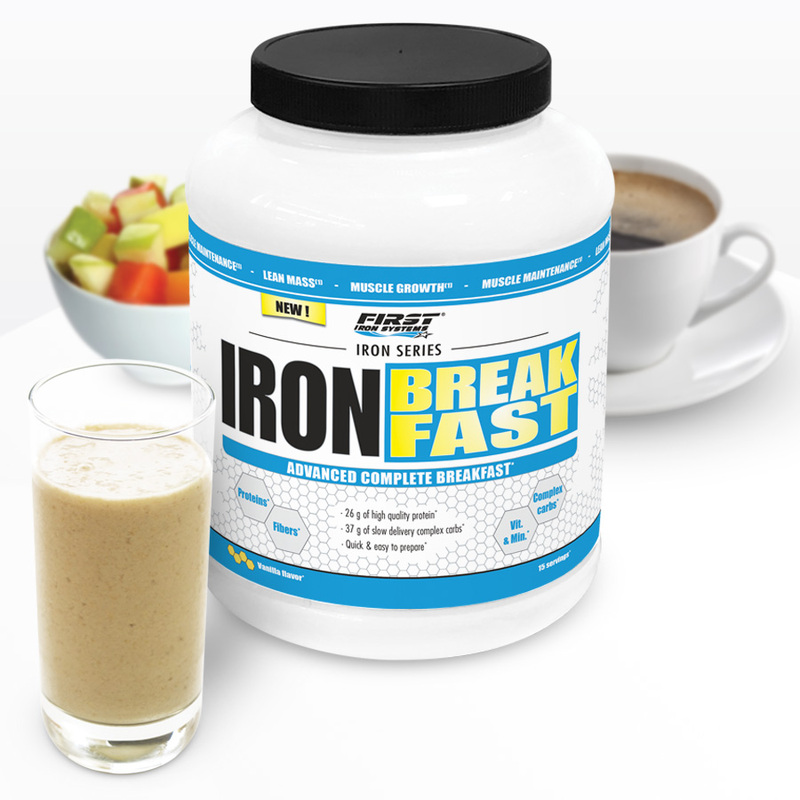 Iron Breakfast has been designed to provide all the essential nutrients you need when you wake up. 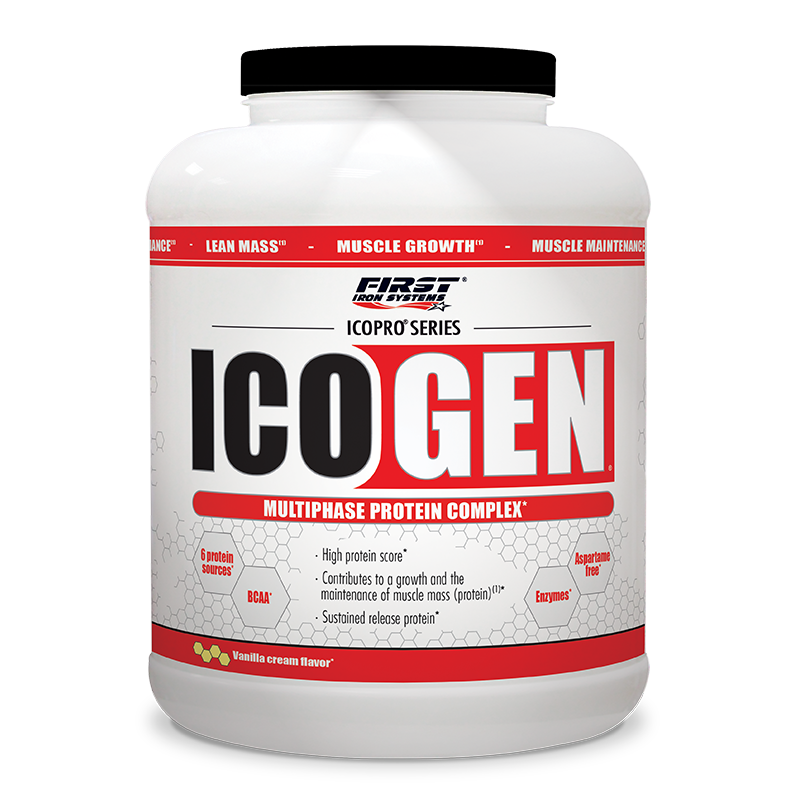 It first contains a precise blend of whey (isolate and concentrate) and egg white protein, two complementary protein sources. Due to its rapid action, whey breaks the overnight fast and starts feeding the body and the muscles instantly. 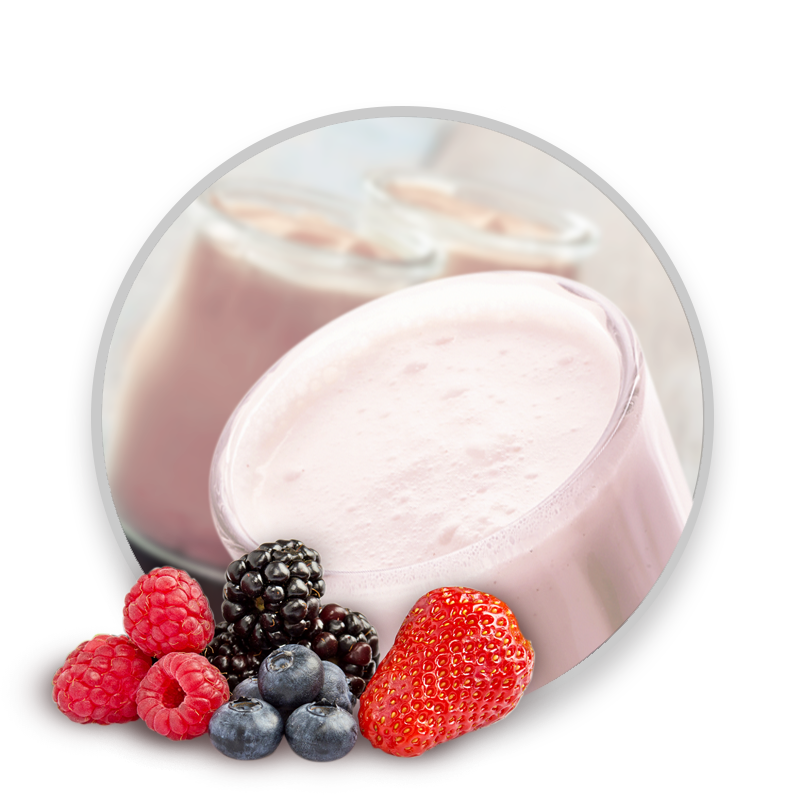 Egg white protein is digested at a slower rate, which allows a sustained release of amino acids. Iron Breakfast then includes whole oat flour that supplies a stable energy level throughout the morning. Oats also has a low glycemic index and is slowly digested, which promotes a feeling of fullness with no stomach aches or slumps usually linked to products high in sugars. In addition, it brings essential fatty acids and fibers. The formula is completed with vitamins and naturally occurring minerals, that are important for a correct balance. Iron Breakfast is the right choice for a healthy and complete breakfast that will energize your day. Due to its versatile nutritional profile, it can also be used at any time of day. The “Iron Series” line is characterized by its all-in-one nutritional solutions packed with an array of carefully selected ingredients at precise dosages and designed to meet the athletes’ specific needs. With Iron Breakfast, the goal is to provide all the nutrients needed after an overnight fast : proteins, slow-release carbohydrates, vitamins and minerals. 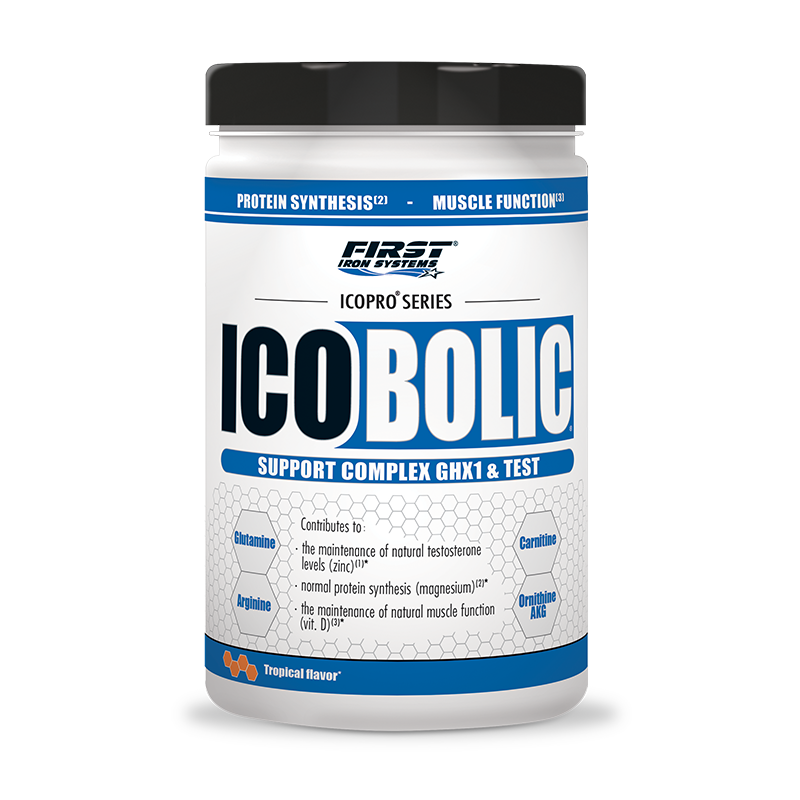 The formula is particularly nutritious while providing no empty calorie or added sugar. 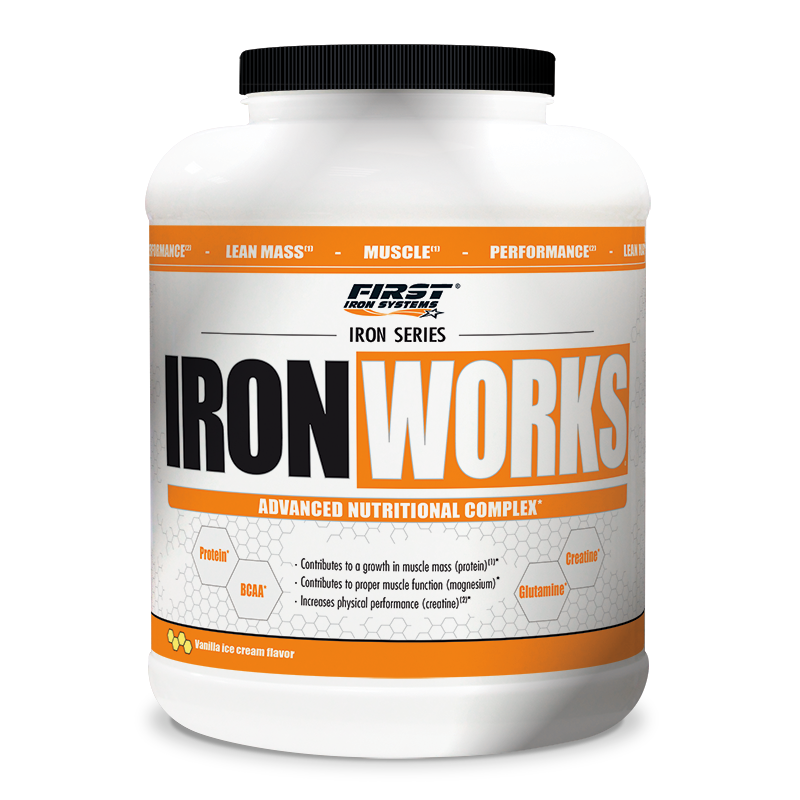 The “Iron Series” complexes are an easy and convenient way to make your nutrition reach an upper level. 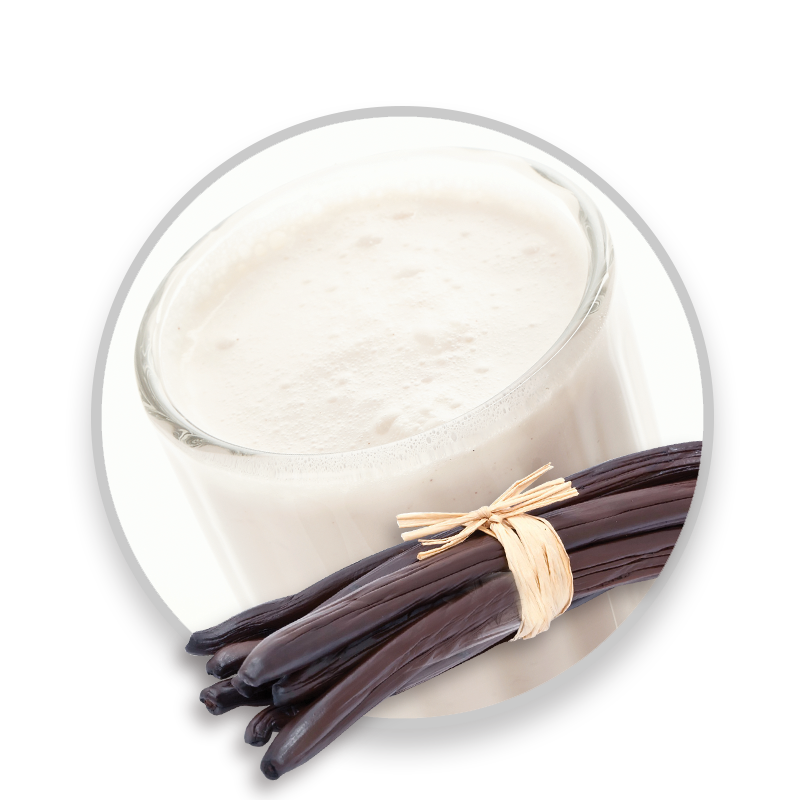 Mix 80 g in 400 ml of cold or hot liquid (water, milk, vegetal milk). Adjust the amount of liquid to reach your desired consistency. Blend in a shaker for a smoother taste. Take preferably in the morning at breakfast or between meals when a quality complete nutritional intake is needed. When you sleep, your metabolism keeps on tapping into its reserves to maintain vital functions, run the muscles recovery cycle and strengthen them. On waking up, the stores need to be replenished. This is the reason why breakfast is certainly the most important meal of the day. After several hours of sleep with no food, it breaks the overnight fast and feeds the body. Eating a balanced breakfast will enable you to spring into action. This is all the more important when your goal is to build muscle, to increase performance and to burn fat. 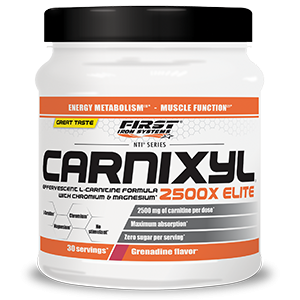 – Protein : providing precious amino acids, it contributes to the growth and maintenance of muscle mass while speeding up the metabolic rate. – Carbs : the body’s main fuel source. The best choices are those rich in fibers and with a low glycemic index. These types of carbs are slowly digested and supply a long-lasting energy and a satiating effect throughout the morning. But it is not always easy to find the time to prepare a multi-nutrient meal made of whole foods. That is why Iron Breakfast is an ideal solution. Our challenge is to provide formulas not only with exceptional nutrition profiles but also with mouthwatering flavors. For that, our team is working with the most renowned flavor experts. Each taste of Iron Breakfast is carefully crafted until it achieves the best result. Multiple taste tests are also systematically performed with real users. 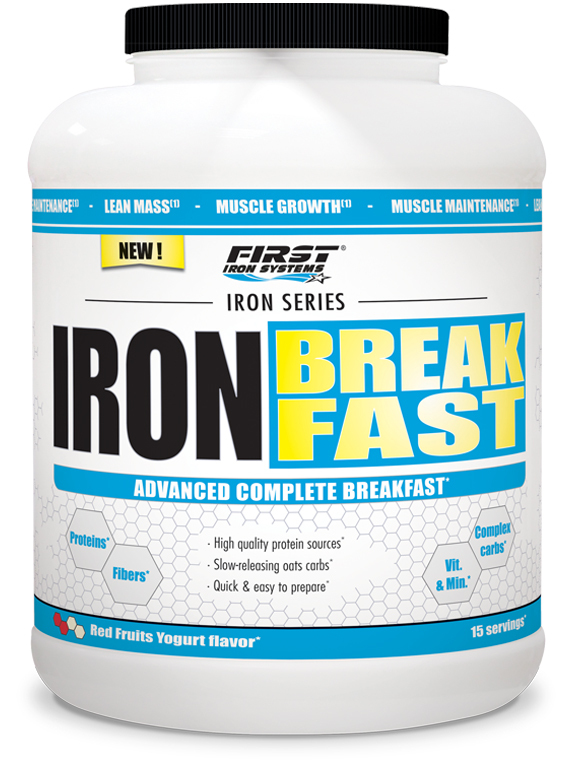 Iron Breakfast is a convenient and rapid way to ensure an excellent core nutritional foundation with high quality proteins, complex carbs, vitamins and minerals. It’s the ultimate morning shake. You just have to mix the powder into water or milk and it’s done. Perfect for a quick, complete and balanced breakfast when you don’t have much time in the morning. We pay close attention to each step of the manufacturing process of Iron Breakfast from raw material selection to production. 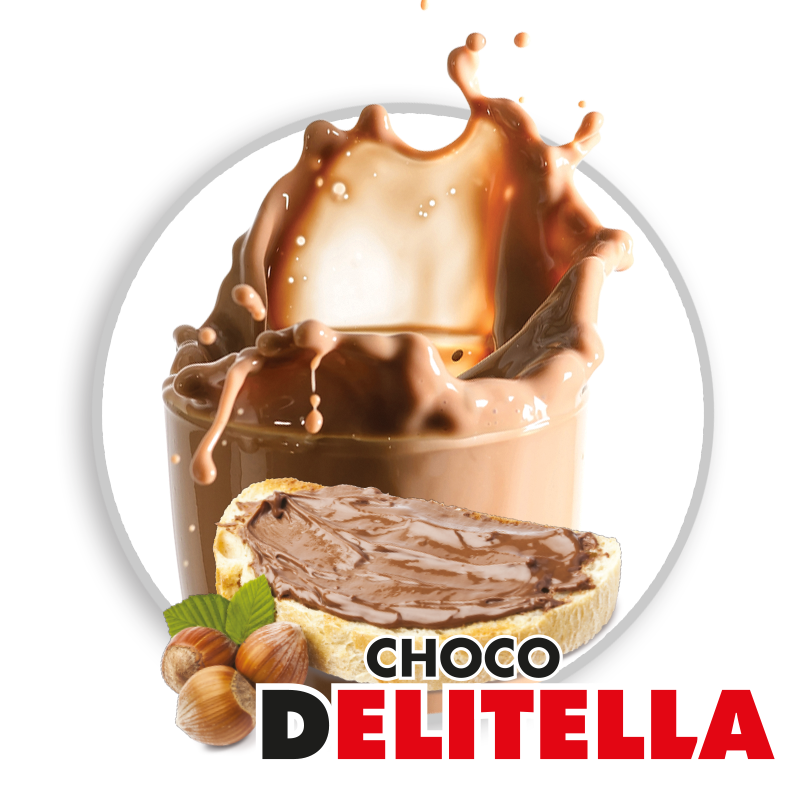 Each product also undergoes strict controls to make sure it meets the highest standards of purity, quality and consistency. That is why you can be sure that each component listed on the label is well included in the bottle and that the formula contains no hidden calories, fats and sugars or under-dosed key ingredients.